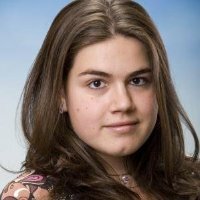 I am a recent graduate from Warwick Business School and during my third year of studies, I spent an exchange year in Munich, Germany. This guide would have definitely helped me settle in quicker. Especially, for students from lower income families, the cost of living is a matter of utmost importance. That is why the information about average example prices is very useful. Germans are still very fond of cash although cash cards are gradually becoming more popular. However, they do not use credit cards very often as is the case in many other Western countries. I found the report on Germany comprehensive and useful. As is mentioned in the report, Germany is renowned for its education system which has long standing traditions and a complicated structure. It is important for foreign students to get acquainted with it before coming to the country and the websites given provide a good description. The report accurately highlights the importance of work experience, which is interwoven in the education system. Students do their first placement while still in school and receive feedback on their performance. There are numerous opportunities for work placements during university studies. Practical experience is highly important in Germany and foreign students quite often overlook this fact when applying for jobs in the country. The application process could last quite a long time, so like the report suggests it is advisable to apply several months in advance. Ensuring that all documents are in place and finding accommodation is also very important. The list with websites for placements is very convenient. The healthcare system in Germany is very well organized and foreign students are required to have health insurance. The report provides a website with information about visas and work permits which is also very important when looking for a work placement in Germany. Like in the other European countries, social networks in Germany are becoming more and more important for finding work and establishing contacts. The professional network Xing is currently more popular than LinkedIn and many people seek employment through it. One cannot overstress the importance of punctuality and planning in the German business culture. The section on Business communication in Germany presents a good overview of the do’s and don’ts in a German work setting. Following business etiquette is essential. Germans are very sensitive when it comes to discussing topics like World War II so one needs to be very cautious not to offend them. The division of private and work life is very clear and is important that foreigners are aware of this so not to get a wrong impression. It makes a good impression if one knows typical gestures like rapping the knuckles against the table top at the end of a presentation or a lecture. Overall I found the report on Germany instructive and would recommend it to students looking for placements in Germany.